Put your voice to work to create reports, emails, forms and more with Dragon Professional Individual, v15. With a next-generation speech engine leveraging Deep Learning technology, dictate and transcribe faster and more accurately than ever before, and spend less time on documentation. Dragon not only lets you dictate up to three times faster than typing, but it also allows you to make edits and apply formatting using your voice with up to 99% accuracy. You can select text and apply formatting such as bold, underline, capitals and more, or just speak to make needed changes. Smart Format Rules automatically adapt to how you want abbreviations, dates, phone numbers, and more to appear, so you don’t have to correct them every time. Leveraging the latest in Deep Learning technology, Dragon constantly learns and adapts to your unique voice and environmental variations—even while you’re dictating—to deliver new levels of personalized accuracy and productivity. Robust transcription, powerful customization, and the ability to seamlessly sync with the Dragon Anywhere mobile dictation solution extend the benefits of speech recognition to meet your unique business needs wherever your job takes you. Dragon Anywhere is a separate, cloud-based solution that provides continuous dictation capabilities, letting you create and edit documents of any length by voice directly on your iOS or Android device. Intel® dual core or equivalent AMD processor. Faster processors yield faster performance. 8GB. If installing from a download: twice as much space is initially needed (after the download is unpacked and installation completes, temporary files can be removed from the system). Supported Operating Systems: Windows 7, 8.1, 10 (32- and 64-bit); Windows Server 2008 R2 & 2012 R2. Minimum 4 GB for 32-bit Windows 7, 8.1 & 10; 4 GB for 64-bit Windows 7, 8.1 & 10 and Windows Server 2008 R2 & 2012. 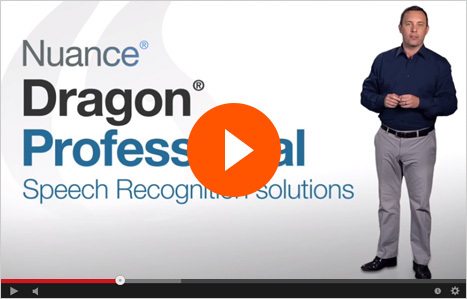 Dragon Professional Individual, v15, a smarter next-generation speech recognition solution empowers busy professionals to complete documentation and reporting quickly and accurately on the PC. Dragon Anywhere lets you dictate and edit documents by voice on your Android or iOS mobile device quickly and accurately so you can stay productive anywhere you go. Enjoy the highest recognition accuracy ever released for a mobile app that continually adapts to you for the best personalized experience. Get more done whether you're on the road or in the office. Custom words and auto-text commands are automatically synchronized with your Dragon desktop (Dragon for Mac, v5 and Dragon Professional Individual) next time you log in so you can work seamlessly by voice anywhere you go.